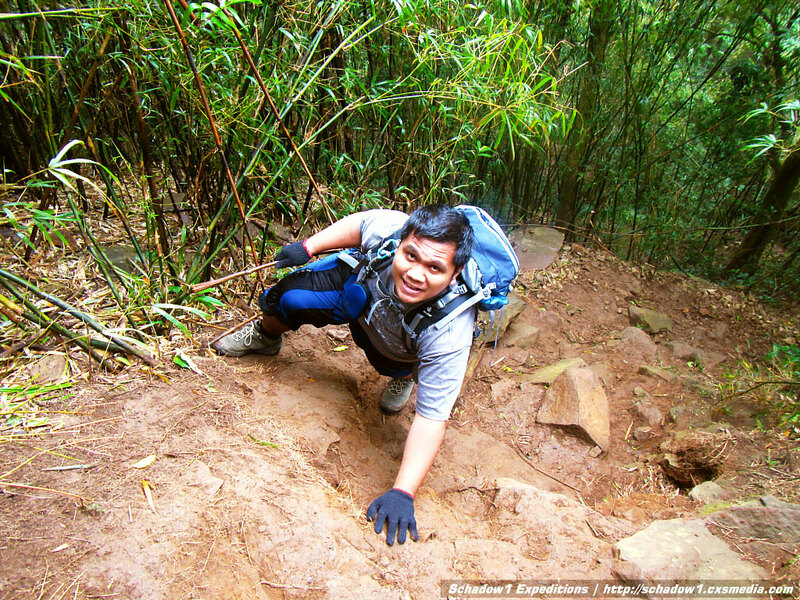 It was the first climb for this year and is part 2 of climbing Pico De Loro coming from a failed attempt to scale the summit last August due to the weather. This mountain is an inevitable climb. 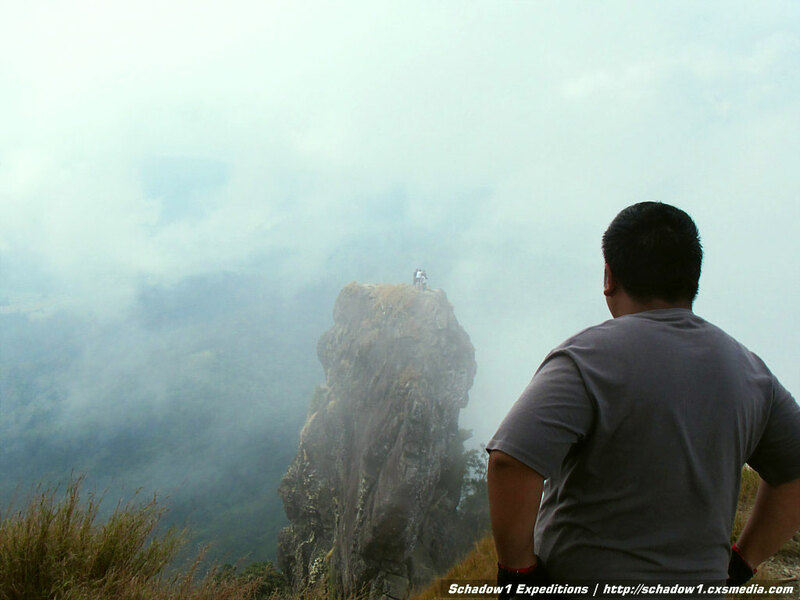 Being one of the nearest mountains in Metro Manila that offers 360 degrees of beautiful scenery. Every Filipino mountaineer should climb this mountain. This climb has taken into place due to two purposes. One is to have a come-back and reach its summit as previously, we were only able to reach the campsite due to the weather (see the first Pico De Loro attempt); secondly, a time to test our improvement from climbing after 5 months, as the previous Pico De Loro climb is the first ever climb I made in 24 years. The climb is a success as in comparison from our previous 6-hour climb, we made it in just half the time at 3 hours! And of course we made it to the summit. We started our climb at exactly 3:00PM from the Ternate, Cavite jump-off and reached the summit just right after sunset at 5:50PM and here is the view that greeted us from the campsite at 600MASL. The first-ever clearing I saw at Mt. Pico De Loro. 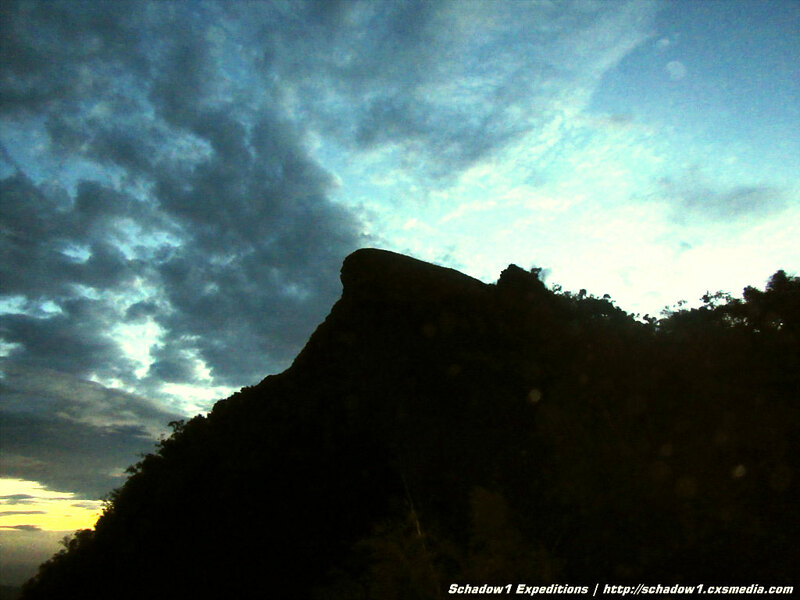 The Pico De Loro Summit which we will scale the next morning. That night was very windy and cold. The previous time we stayed at Pico De Loro is windy, raining hard and cold. So it may be safe to assume that the Pico De Loro campground is always windy and cold. Because of this, it is suggested that when setting up your tent, ensure that it is properly secured. You may use the bamboo trees along the campground as they proliferate the campsites. Because it is not raining, several types of strange insects have shown up which all of them are new to me. When I woke up at 4AM it was all foggy and I can't even see anything beyond a meter but was lucky enough to see a different kind of nocturnal mouse among the bamboo trees where my tent was secured. Crickets with various colors showed up however they are attracted to the fire on my portable oven. As such they ended up grilled. There are also dragonfly species which has thick violet wings which I thought were butterflies but they weren't. At the campsite, there is now a new "convenience store" similar to the one at Mt. Maculot. The sellers are from Nasugbu, specifically from Papaya. The products are still "responsibly" priced and I hope it stays that way. 12oz softdrink costs P30. 8oz costs P20 while 500mL Gatorade costs P50. A cup of coffee costs P10. Cup noodles is also available for P30. By 7AM, the summit and the surroundings are still covered with fog so we waited for the weather to improve so that we could have the best view from the summit. By 9:10 AM, we started our assault to the summit and reached it 30 minutes after. The Parrot's Beak cliff and climbers successfully scaling it. A successful climb this time for Pico De Loro! We went down to the same route and met Rey Medina who owns the base camp and he told me about his grudges with DENR and the convenience store at the summit. As mentioned on my previous Pico De Loro article, DENR collects P20/pax environmental fee from the Ternate jump-off while Rey Medina's family collects P20/pax as well as compensation for passing by his private property, which is along the trail, and for having toilets and picnic facilities along his property and for clearing the trail up to Alibangbang park. I am not in the position of taking sides as I would want locals to fix their own disputes. However, as what I'm seeing and because Pico De Loro is gaining popularity, I do hope that they fix their issues as soon as possible before commercialization damage this beautiful mountain destination. 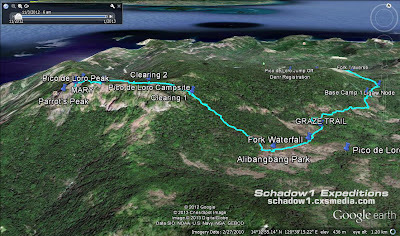 We did not went through the Nasugbu, Batangas traverse. However, as we reached the Ternate Jump-off we drove around the currently under construction Ternate-Nasugbu Tunnel (see here) and passed by the Nasugbu jump-off at around 5:00PM there are no transportation available and the next populated town of Papaya is around 5.7km away. It is suggested that mountaineer commuters must verify their transport first if they will be traversing this mountain from Ternate to Nasugbu as transport from the Nasugbu jump-off seems to be scarce at the time of this blog post. 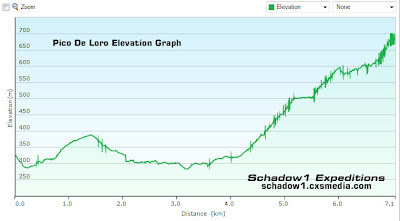 The data gathered in this Mount Pico De Loro climb has been contributed to the +OpenStreetMap Philippines project for free use of mountaineers who plan to climb this mountain with GPS assistance. Is the Naic-Ternate bridge still under construction? I was told by the caretaker of Ternate DENR that it is already open. Although I haven't been there yet so I could not confirm.